As a Christian who believes that the gospel is good news for men and women in equal measure, I am often frustrated by the excruciatingly slow pace of progress towards gender equality in the American Evangelical church. And although books–often by men–railing against the evils of that insidious brand of feminism which has infected Christian women everywhere still litter the shelves of Christian bookstores, there is hope! Whether you’re just curious, need encouragement, or want a resource to share with someone in your faith community, here’s the lowdown on four of the most popular books on Christian feminism. The stereotype of feminists as angry, aggressive, man-hating demon spawn is, unfortunately, still prevalent in many corners of society, including the Christian church. One of the things I love about Sarah Bessey is that she makes a forceful, compelling argument in such a loving, vulnerable way that it is virtually impossible for even the most conservative mind to use that particular stereotype against her. 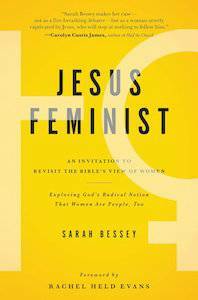 Instead of a verse-by-verse rebuttal to the complementarian position, Bessey paints a beautiful picture of what the church could be if women were freed from the chains of patriarchal thinking. Verdict: Buy one for yourself and one for the next person to say something sexist to you at church. 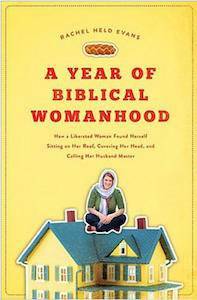 In the humorous, irreverent style of A Year of Living Biblically, Evans writes about the year she decided to follow all of the biblical edicts pertaining to women to the letter. This theological experiment led to her camping out in the backyard during her period, calling her husband master, and dressing like your bohemian friend for twelve months. This book is great for a laugh and provides some interesting insights into the double standards that Christians place on women. It’s definitely not meant to be a theological treatise and is probably best read by those who are already feminists and can appreciate it for what it is. In the same vein as Half the Sky, Carolyn Custis James weaves the experiences of powerful women of faith in with a convincing theological argument for their place in church leadership. 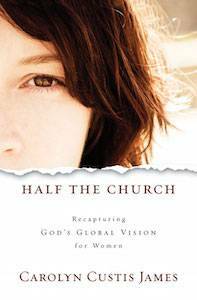 One of the things I love about this book is that it places an emphasis on outlining a theology that makes sense for women around the world, not just in the bubble of American Evangelicalism. Verdict: Buy two copies and give one to your pastor, priest, or minister. 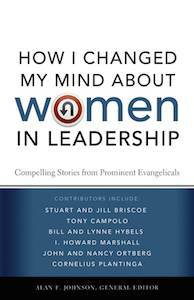 As the title implies, this book outlines the process that twenty-seven theologians and Christian thinkers went through in changing their position from traditional complementarianism to a more egalitarian view of women’s roles. It includes chapters by men, women, and couples dialoguing together–a unique and inspired way of approaching the subject.